Quiet please, this old girl is having a nap lol. Meet Blue, a lovely girl in the golden years of her life. 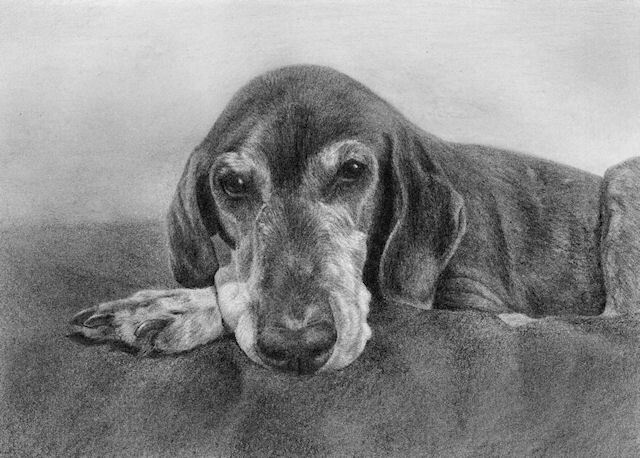 She was commissioned by the same lady who commissioned Sasha, the Pointer puppy. Sasha and Blue belong to the same owners. Aren’t they lucky to have such a thoughtful friend, gifting them portraits of their pets? I think so anyway.